No, not the steely Queen or Julia Cameron’s photographs. This man. Some people celebrated yesterday (August 4) as Louis Armstrong’s “real” birthday. I disagree, but choose to stay away from such disputes. To me, every day we can think about or hear or see Louis is a collective cosmic birthday. People who are drawn to Louis — magnetically, but his spiritual warmth — often gravitate to particular periods: the Hot Fives and Sevens, the later period — whether you define that as JACK-ARMSTRONG BLUES, WHEN YOU WISH UPON A STAR, or WHAT A WONDERFUL WORLD. Thanks to Gosta Hagglof, Ricky Riccardi, Dan Morgenstern, and Mosaic Records, we’ve had the opportunity to rediscover the Decca classics of the Thirties and the All-Star gems. But there’s a particularly rewarding period of Louis’ recordings that has been almost overlooked — the Victors of 1932-33. Those who live to find fault have found plenty with the backing band — although they are at worst uneven, with beautiful solo episodes from Keg Johnson, Teddy Wilson, Budd Johnson, and the earliest recorded evidence of Louis and Sidney Catlett working together in deep harmony. If one drops one’s prejudices, the material is also excellent — songs by Fats Waller, Tony Jackson, and the immortal Harry Woods. And Louis is in spectacular form, playing the melody with all his heart, singing earnestly (and often with delightful floating levity), and improvising so very memorably. Listen to what he does on the middle-eight / bridges / channels, as if he had decided earthly boundaries didn’t matter, and he could just lie back in the upper atmosphere no matter how fast the band was playing. Some contemporary brass players — I think of Rex Stewart — took it as a stylistic point of honor to play more notes per bar as the tempo increased; Louis lazed over the pounding rhythms, as if he were a giant cat awaking from a splendid nap. Eddie Condon, Bud Freeman, and I go ‘way back, although those two gentlemen would not have noticed me all that much. I only saw Eddie once at close range, in the summer of 1972, and at several late concerts; I saw Bud once at a Newport in New York tribute to Eddie. But I have been following both men since I was a youth in suburbia, when department stores had record departments and there was always a reason to walk to the one nearby or tag along when my parents, who loved to shop for what I think of as home-trivia, went to one that I couldn’t walk to. I started collecting Louis Armstrong records, which should not shock anyone. But soon I decided that Jack Teagarden was fascinating as well, and bought THE GOLDEN HORN OF JACK TEAGARDEN, which featured Pee Wee Russell, Eddie, Wild Bill Davison, George Wettling, and others. Then, in 1969, the Mainstream label started to issue vinyl compilations drawn from the Commodore Records catalogue. 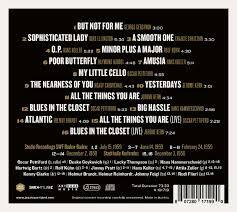 Most, if not all, were in reprocessed stereo, had obtuse liner notes, limited discographical information . . . but here I could hear SERENADE TO A SHYLOCK. I was hooked for life. And I became a deep convert to Condonia, and the territory known as the Land of Bud. Both of them are ferociously underrated musicians and their music, when mentioned, is often viewed patronizingly. More about that later. But I would fight for the Commodores and later Deccas to be taken as seriously as any small-group recordings of the period. Click here for several sound samples: clear your mind of jazz-history debris (the categorization of this music as Not Terribly Innovative and Created Mostly by Caucasians) and listen. 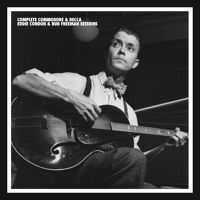 I’ve had the new Mosaic Records cornucopia of the Condon / Freeman Commodore / Deccas 1938-1950 sitting on my coffee table, the box unwrapped but the discs still virginal, for two weeks now. I think I was afraid of breaking the spell. Sometimes the hallowed records one remembers just aren’t what one has idealized, and one hears all the flaws. But I began to listen, and disillusionment never appeared. I approached the set in two ways — front and back — starting with the first Commodore session (admiring the way that I could hear shadings and subtleties I’d never heard before) and then the later Deccas . . . unheard Dave Tough, James P. Johnson, Johnny Windhurst, and more. Here are the details. 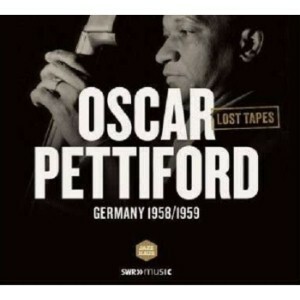 Eight CDs, 199 tracks, many new Decca alternates, everything in gorgeous sound, $136.00. Wonderful photographs, many new to me — and I’m a Condon obsessive. Notes by Dan Morgenstern, a real plus. The Commodore and Decca band sides of the first period, 1938 to 1944, are elated and elating music. Even at slow tempos, a delicious energy bubbles through. Condon and the Blessed Milt Gabler, the guiding light of Commodore, favored obscure pop songs of the early Twenties — PRAY FOR THE LIGHTS TO GO OUT, TELL ‘EM ABOUT ME, YOU CAN’T CHEAT A CHEATER, IT’S TULIP TIME IN HOLLAND, as well as impromptu blues and durable ballads. Where some of the later Commodore sessions (for example, those led by Muggsy Spanier) sound heavy in their earnestness, the Condons sound light, frisky. One can study a record like MEET ME TONIGHT IN DREAMLAND or TAPPIN’ THE COMMODORE TILL for its ensemble lightness or densities, as well as the glowing solos. And the Deccas that follow are almost as glorious — with alternate takes of beloved performances (IDA and JUST YOU, JUST ME) as well as familiar ones in wonderfully clear sound. As with any Mosaic set, the incautious listener will go down into the depths and arise befuddled by an over-abundance of beauty. 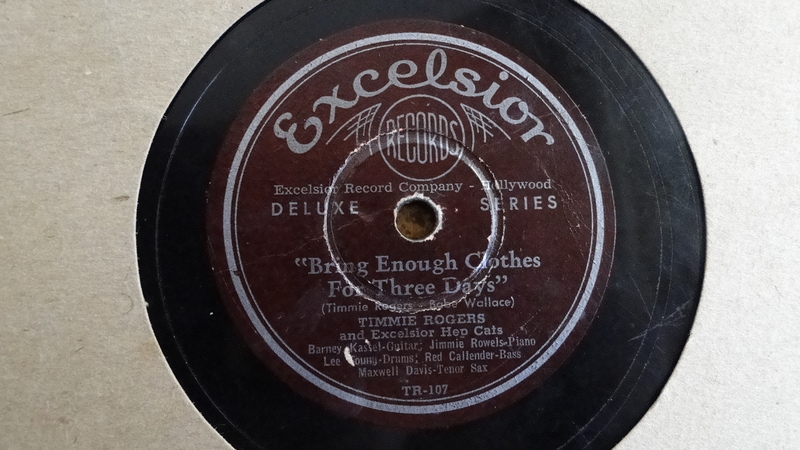 Although the price is far lower than a collection of the original 78s, I urge any student of the music to listen with serious caution, as one might have in 1938 or 1945: two sides, at most, making up a listening session. Several heroes also shine through these sides. One of the most noble is Jack Teagarden — as singer and trombonist. I suspect that Teagarden has been ill-served by his durability (which is an odd statement, I admit) and his narrowing repertoire. If one were to see him merely as a re-creator, say, of BASIN STREET BLUES into infinity, one would do him a great disservice. I defy any trombonist to be as limber, as inventive, as surprising. And as a singer he is simply glorious, even on the less inspiring material, such as IT’S TULIP TIME IN HOLLAND (which I find and always found terribly endearing). I can’t say enough about Charles Ellsworth Russell, so I will simply say this. To me he is the equal of Lester Young, of Benny Carter, and (yes!) of the King of Swing. Too much has been made of his “eccentricities,” which are ultimately the hallmarks of an utterly self-aware and courageous musician. 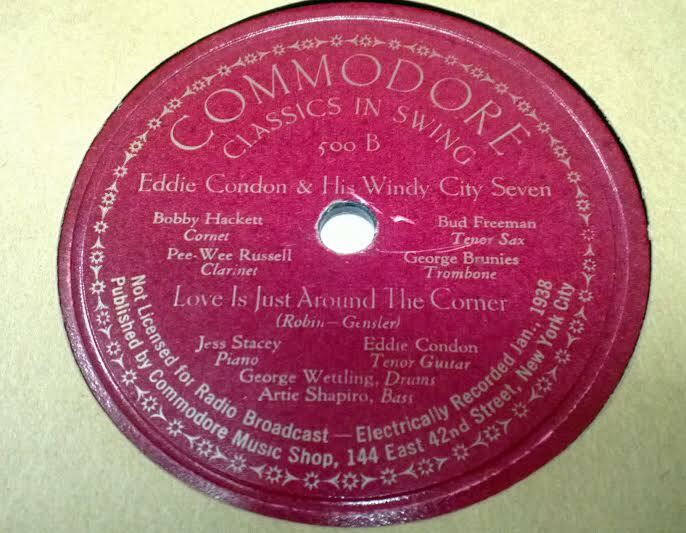 The later Commodores often featured a violently effective front-line pairing of Wild Bill Davison and George Brunis, but these sides most often have Bobby Hackett and other lyrical trumpeters / cornetists: Max Kaminsky, Billy Butterfield, even Johnny Windhurst. Hackett is my idea of angelic music: let that statement stand by itself, and Kaminsky’s even, compact playing is a wonderful model. The rhythm sections on these records are delights in themselves: consider Jess Stacy or Joe Bushkin, George Wettling, Dave Tough, coming-to-the-rescue Lionel Hampton and even on one long delicious 1943 date, Sidney Catlett. I can’t ignore delicious cameos by Fats Waller and Lee Wiley. In 1969 and onwards, I tended to skip over the Bud Freeman trio sessions (with Stacy and Wettling). How narrow my perspective was. I now hear them as gloriously radical creations, slyly subversive answers to the Goodman Trio. In some ways, they are the most “free” recordings before the term became more common in jazz: three rollicking eccentrics going at it, each on his own path, improvising wildly and sometimes acrobatically. Lester had a sound and an approach like Louis Armstrong, only he had it on tenor sax. Billie Holiday had that same sound and style; so did Budd Johnson and that white dude, Bud Freeman. They all had that running style of playing and singing. That’s the style I like, when it’s running. It floods the tone. It has a softness in the approach and concept, and places emphasis on one note. Rather than reading more of my words, I hope you listen to the music presented on the Mosaic site. These sessions are as precious as any of the more “hallowed” contemporaries. I would put them next to the Ellington, Hampton, Basie small groups of the period, and they stand up splendidly in comparison to the independent-label recordings of the Forties. Clear your mind of the odious categorizations and enjoy. 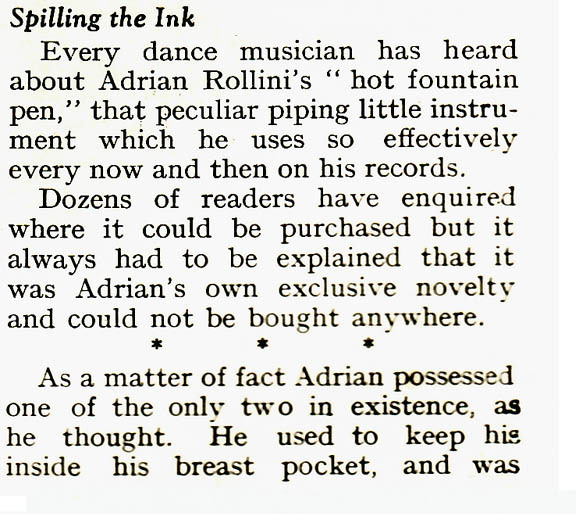 Postscript: before writing this post, I intentionally did not read the beautiful liner notes by Dan Morgenstern, who was on the scene and knew Eddie . . . because Dan’s influence is so strong (in the best way) that I wanted to attempt to write this from my own perspective. But I know that Mister Morgenstern and I will agree.